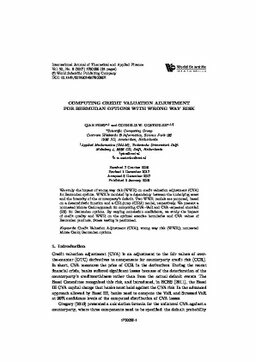 We study the impact of wrong way risk (WWR) on credit valuation adjustment (CVA) for Bermudan options. WWR is modeled by a dependency between the underlying asset and the intensity of the counterparty's default. Two WWR models are proposed, based on a deterministic function and a CIR-jump (CIRJ) model, respectively. We present a nonnested Monte Carlo approach for computing CVA-VaR and CVA-expected shortfall (ES) for Bermudan options. By varying correlation coefficients, we study the impact of credit quality and WWR on the optimal exercise boundaries and CVA values of Bermudan products. Stress testing is performed.